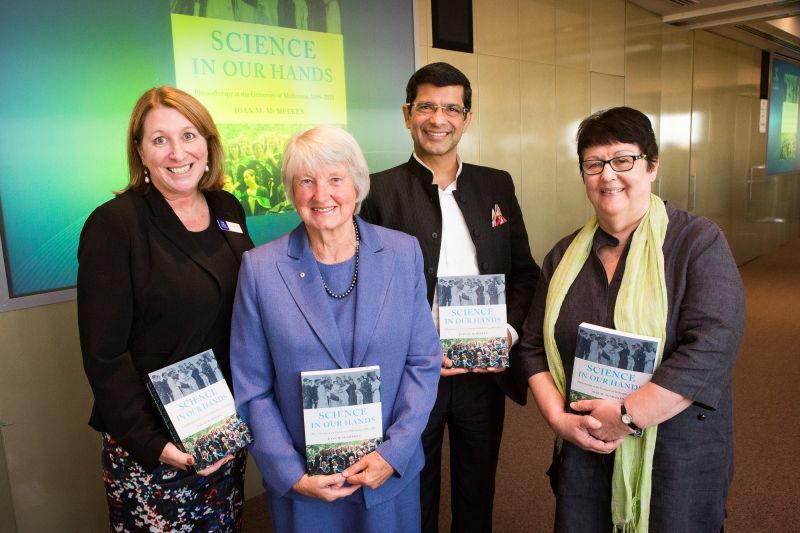 On Wednesday 21 March, the Faculty of Medicine, Dentistry and Health Sciences launched Science in Our Hands: Physiotherapy at the University of Melbourne, 1895–2010 by Professor Joan McMeeken. 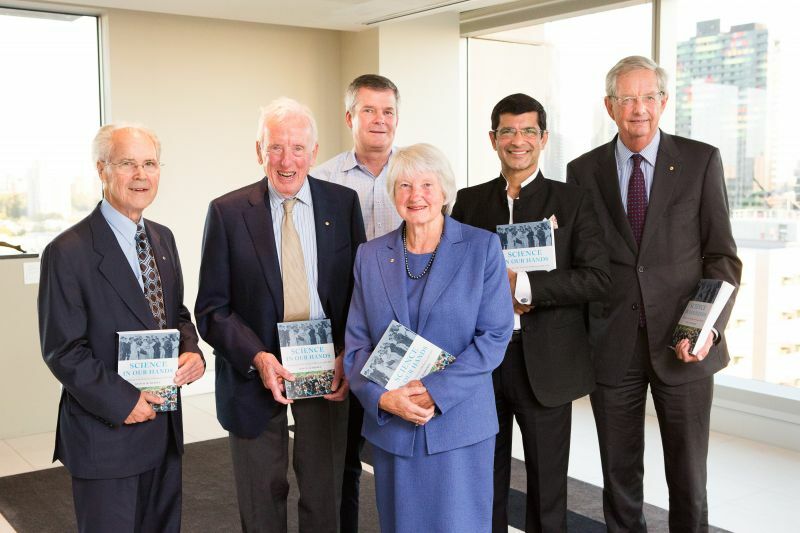 Professor Joan McMeeken at the launch with current Dean of the Faculty of Medicine, Dentistry and Health Sciences, Professor Shitij Kapur (second from right), and past Deans (L to R) Professor Emeritus Graeme Bruce Ryan AC, Professor Emeritus David Penington AC, Professor Mark Hargreaves, and Emeritus Professor Richard Graeme Larkins AO. Professor McMeeken was foundation professor and Head of the School of Physiotherapy – now the Department of Physiotherapy, School of Health Sciences – from 1991 until 2007. As well as leading a distinguished career as a clinician, educator, researcher and administrator in physiotherapy, she has published widely on the history of physiotherapy in Australia. 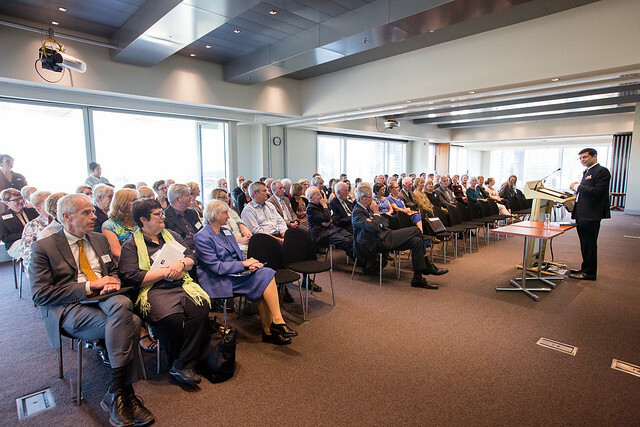 The book was launched at the Woodward Conference Centre by Professor Janet McCalman AC, Redmond Barry Distinguished Professor and Professor of History in the Centre for Health Equity, Melbourne School of Population and Global Health. Professor Joan McMeeken (second from right) at the launch with (L to R) Head of the Department of Physiotherapy, Associate Professor Jenny McGinley, Professor Shitij Kapur, and Professor Janet McCalman AC. Science in Our Hands describes the transformation of physiotherapy from the work of a few individual practitioners to the third-largest professional clinical health discipline. Based on Professor McMeeken's PhD thesis, the book explores the history of the profession in Victoria and the role of the University as physiotherapists fought to take control of their education and ensure their professional standing. From 1987 to 1990, physiotherapists ran a tense political campaign over plans to move the physiotherapy course from the Lincoln Institute to La Trobe University – away from its traditional home in Melbourne. In the book Professor McMeeken recounts this campaign, which peaked when several hundred physiotherapists and students marched through Melbourne to Parliament House. At the launch, Professor Shitij Kapur, Dean of the Faculty of Medicine, Dentistry and Health Sciences, acknowledged the tireless lobbying of Professor McMeeken and her colleagues and the significant role their campaign played in establishing the foundations for the Faculty to expand beyond medicine. Copies of Science in Our Hands are available to purchase from Readings in Carlton and Hawthorn, or online. To view and download photos taken at the launch, click the image below.